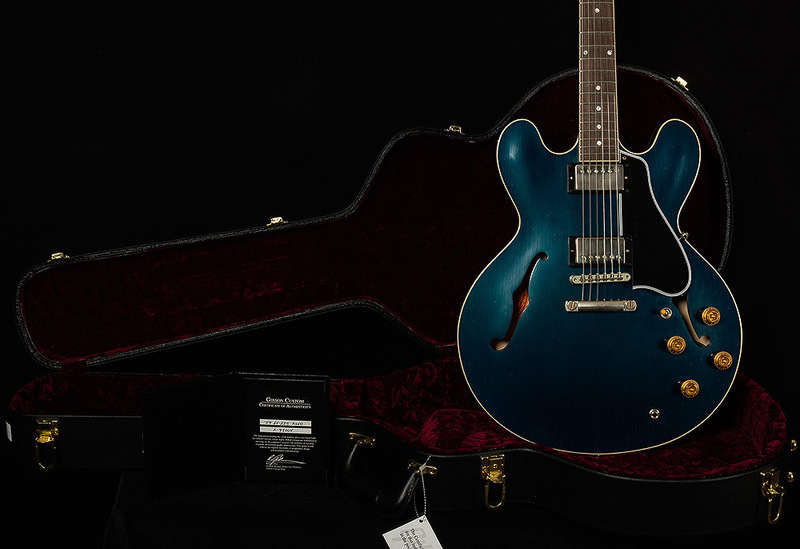 This gorgeous ES-335 is in excellent condition with no extra play wear, other than what was done at the Custom Shop in Nashville. Originally sold by Wildwood Guitars! Includes the original hardshell case and COA. 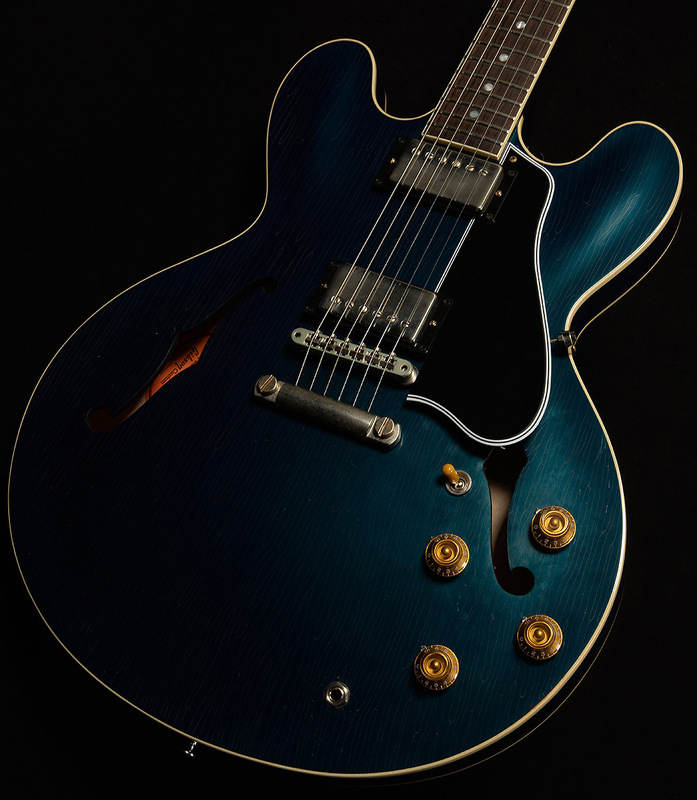 Before we get too far, let’s talk about why these ES-335s deserve to be held in such lofty regard. 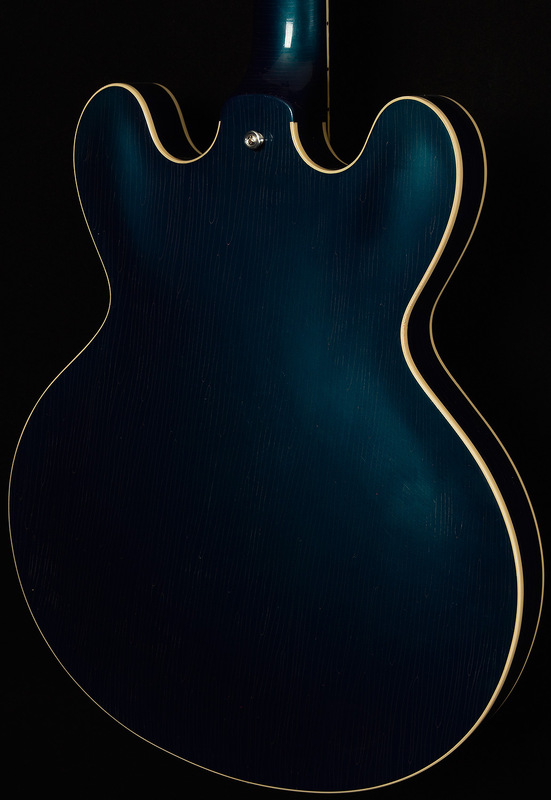 The biggest reason is also the most obvious reason: the meticulous workmanship of the wizards at the Gibson Custom Shop. They put these guitars together with hot hide glue, an old-world manufacturing technique that requires considerable time and skill but results in an incredibly strong connection between each piece of wood. This rock-solid bond allows vibrations to travel freely throughout the guitar’s body, which is a big reason why these 335s’ have such phenomenal resonance and fullness. The necks are also worth writing home about. We’ve outfitted these semi-hollow sweeties with a ’59 neck profile that is scarily accurate, and that means something coming from me. I worked at a guitar shop in Kalamazoo, Michigan—the home of Gibson—for several years, so I’ve played plenty of ’59 335s. If you put a blindfold on me, I couldn’t tell the difference between this reissue and a real vintage neck. The subtle aging process makes the neck feel like your favorite pair of sweatpants, except way more stylish. Speaking of the relic job, the care taken during the aging process of these guitars is second to none. The builders at the Custom Shop hand-age each guitar to ensure that each serial has its own unique look and personality. It may take a little longer, but one look at the final product reveals that the elbow grease was worth it. For a guitar that looks and feels vintage, we had to really bring our A-game with the electronics. So, we outfitted these exceptional Electric Spanish guitars with Wildwood Spec Custombuckers, which are the product of our obsessive effort to recreate the sound of the vintage guitars we all revere. You can really hear the blood, sweat, and tears that the geniuses at the Gibson Custom Shop put into these humbuckers the instant you strike your first chord. They embody the very best characteristics of vintage underwound PAFs: fantastic string-to-string balance, crystalline clarity, and sweet, singing trebles. It’s not easy to develop a pickup that hard rock players and jazz cats alike will fall in love with, but the fine folks at Gibson have accomplished that nearly impossible feat. 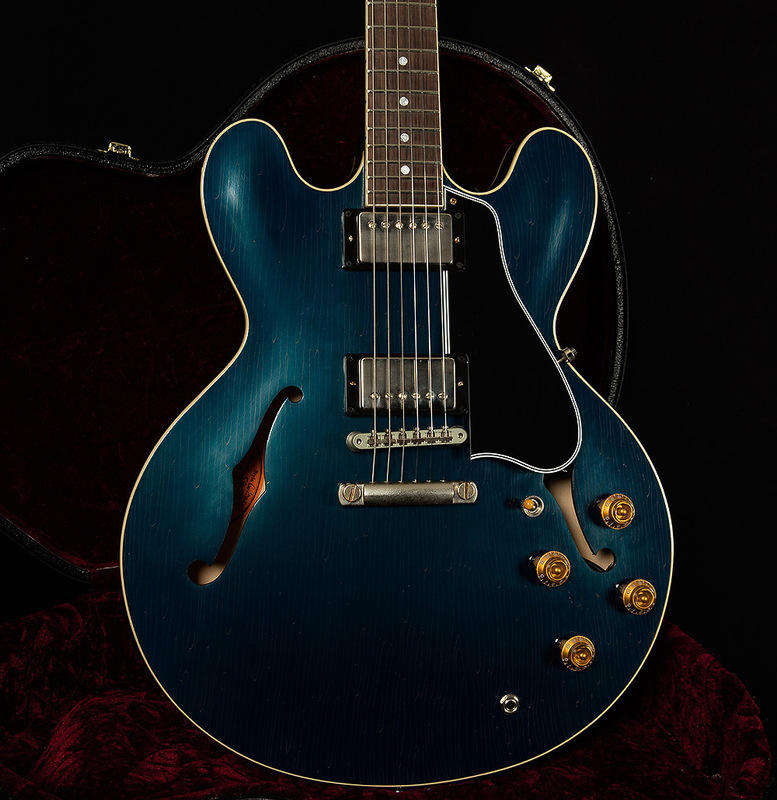 It wasn’t my intention to write a small novel about these 335s, but some guitars are so exceptionally inspirational that it seems criminal to try and distill their essence down to a hundred words, and I couldn’t help myself. The Wildwood team is delighted to present such sterling examples of impeccable craftsmanship to our phenomenal customers.